Tomorrow is fastfun.jp’s Ladies Day, and I am sincerely disappointed that I can’t make it. Do I like to snowboard at my own pace? Tick! Do I enjoy the company of like-minded ladies? Why yes! In all seriousness, the 9am – 4:30pm event sounds like a blast, with a guided tour of the resort in the morning and a snowshoe tour through a national park in the afternoon. Throw in lunch at an authentic Japanese restaurant and call it a day. Ladies Day is just the start of an impressive lineup of weekly events from fastfun.jp. 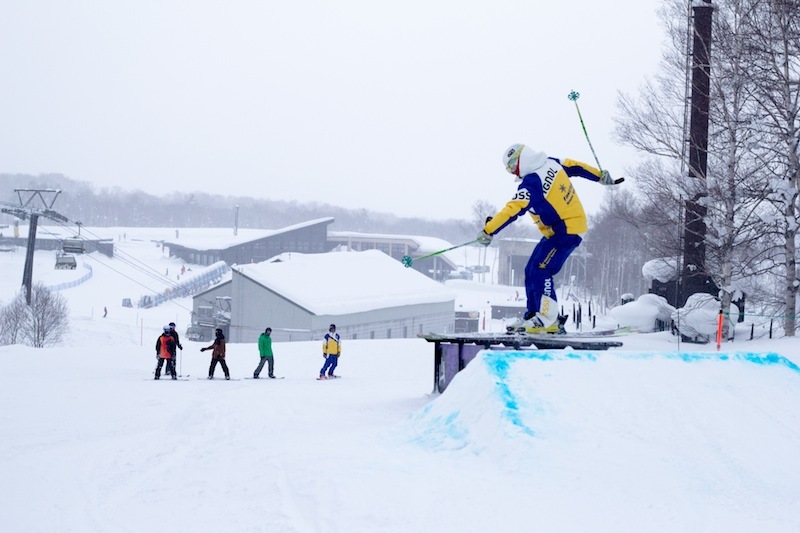 This multi-faceted business is also hosting a Freestyle Session on the 7th February, where skiers and boarders can learn how to do gnarly tricks under the guidance of fastfun.jp’s freestyle expert, with the deal further sweetened by a free glass of sake. Freestyle Session with fastfun.jp! Get gnarly! 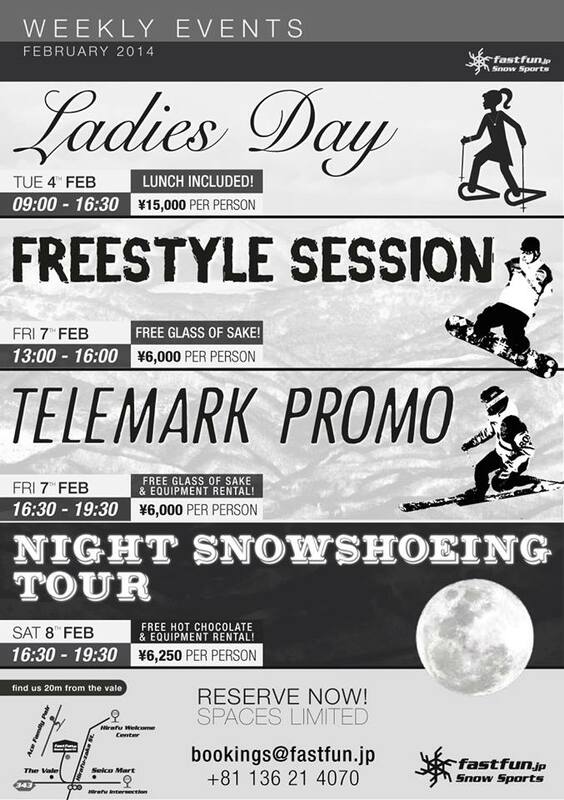 The 7th is also Telemark Promo day, which also includes a free glass of sake – I think fastfun.jp are onto a good thing here. And finally on Saturday 8th of February comes the Night Snowshoeing Tour, where guests can enjoy the magic of the forest under the moonlight and warm up with some free hot chocolate. Way to go fastfun.jp! It’s great to see such original events taking place around town, and I hope to see you at a future Ladies Day – especially if that one ends up including sake.